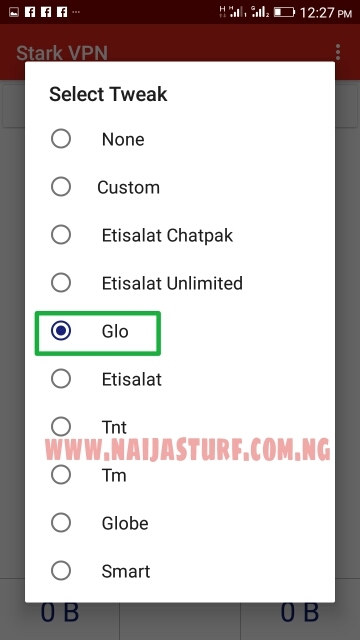 Looking for latest stark vpn settings for glo, etisalat free browsing cheat? 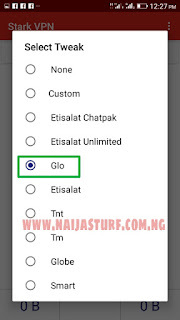 Here is the working stark vpn custom settings for glo and MTN unlimited free browsing. To enjoy these MTN, Glo vpn cheat, simply download Stark VPN APK, this version is packed with fastest servers that makes the Etisalat and Glo free browsing cheats working smoothly. You can download it from Google's nô 1 App Store "Play store" or via other links but I suggest you should download it from the Google play store. The new stark vpn settings is much more better than the previous versions. 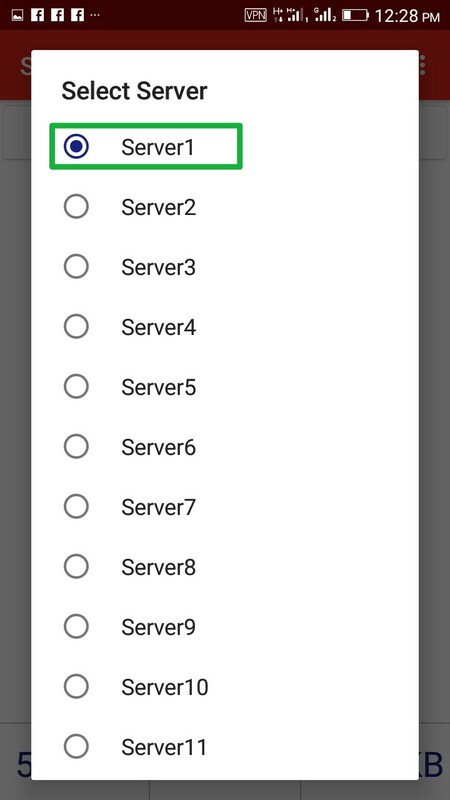 If you could remember, in the previous versions there was so many bugs and it usually disconnects within every 15 minutes. But this stark vpn latest version download (v4.0) have fixed all the bugs and enable you to enjoy the Glo and Etisalat free browsing cheat that was blocked some moments ago. You may try this new version if you also experienced bugs and disconnection issues in the previous version. StarkVPN is among the famous VPN(s) with unlimited Free servers. The only issue on this new version is the pop-up ads, but if you still want to enjoy the free stuff you can still use as it is. - It's absolutely free VPV no hidden charges applies or premium account needed. - Download Stark VPN Apk on Google Playstore and install it. - Open the Stark VPN.apk app and go to the servers list drop-down ticked proxy server 1 for good performance. - Now back to the tweaks drop-down list and ticked “Glo”. - Tap on 'connect' and feel the unlimited speed! If you need any help on how to use stark vpn settings for Glo, drop your comment. To make it work on Etisalat just follow the same process above what you ahave to change is the Tweak, change it from Glo as shown above and use your default Etisalat settings or you can try Etisalat cheat. The process of stark vpn settings for etisalat is same as that of Glo 0.00kb setting, just follow the above step and enjoy! Finally you have successfully setup the latest stark VPN settings for Glo, Etisalat free browsing cheat, download from Google Play Store and enjoy while it last! Don't forget to Share with your loved ones please !! !